Today 8 lawyers who are members of Progressive Lawyers Association (which is also dissolved by state of emergency decree), were tormented and detained during a peaceful meeting in Ankara. Aysegul Cagatay, Ebru Timtik, Aytul Kaplan and other 5 lawyers were detained by ill-treatment without any legal and reasonable evidence. Detained lawyers were taken to DDY Hospital for forensic examination; lawyer Kazim Bayraktar claimed that forensic doctors cooperate with tormentor police officers for not to report torture symptoms on detained lawyers. With today’s detention numbers of lawyers who are under prosecution raised to 1315. 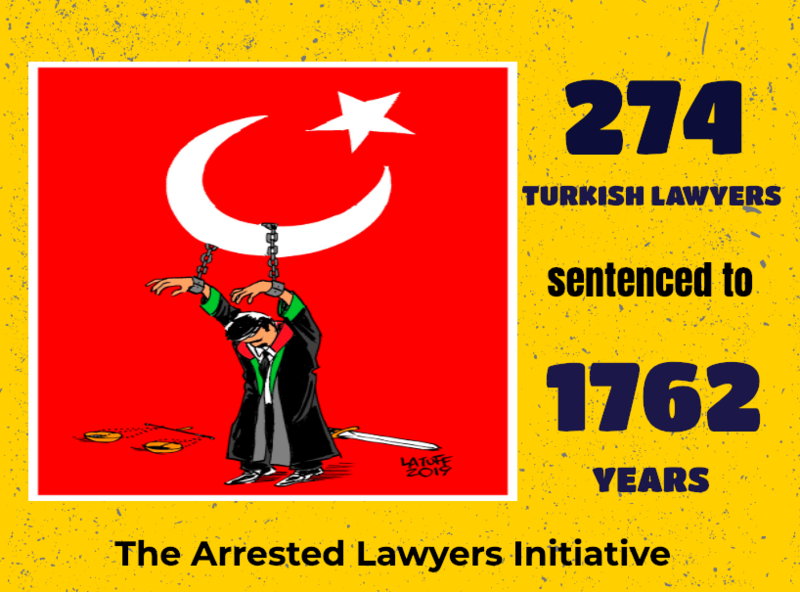 Also 522 lawyers have been arrested since July of 2016.